So, Brilliant Reader Osh's fantasy draft is tonight. He emailed me yesterday asking if I'd be around as a lifeline during his draft. At the end of the email, he sent a list of players he found "intriguing", and I found it a good starting point for getting the ol' blog fired up again. Our team, Good Friends, briefly picked up S-Rod as a potential keeper last September. We dropped him a few days later, but how could you not be intrigued by his eye-popping minor league numbers? He hit 29 HR's in Triple-A last season and flashed power in cups of coffee in with the Angels in '08 and '09. I like him as a last round, or 2nd to last round pick, if you need a middle infielder. He shouldn't go too early until we know he'll be getting regular at bats. The photo of he and his former teammate, Brandon Wood below, remind me that I like Brandon Wood much more as a sleeper. He plays third base for the Angels. More importantly, according to his manager, he is their starting third baseman. Yes, yes, and yes. We took him with the 1st pick in the 4th round of our league, where the 4th round starts the keeper round. He's supposedly going to be the starting Centerfielder for Jim Leyland's Tigers. As we've seen over and over again, most recently last season with Rick Porcello, Jim Leyland will lean on rookies. I just see no power from AJ and not enough speed to put him in Rajai Davis, Julio Borbon, Nyjer Morgan territory. To much league criticism, we took Stephen Strasburg with the last pick in the 3rd round. I still love him just about anywhere you want to take him. He's going to be good and it'll be soon. I suspect he will have better numbers than 2009 Tommy Hanson. I think if his stock drops because of his lower back tightness from earlier in the week, and a threat he may start the season on the DL, that is even more reason why he should end up on your team. His ailment is nothing to be too concerned about. When he finally gets on the field, he will showcase his natural talent and breathtaking ability to bountiful success. I like Rauch to be the closer for the Twins, but I don't love him because there has been so much chatter about the Twins trading for a more established closer, like Heath Bell or even one of the Blue Jays' bullpen arms. Kerry Wood being out 6+ weeks amkes him untradeable, so that's good for Rauch owners. Other low-rated closers I like this year are: Frank Francisco, Matt Capps, Mike Gonzalez, Brad Lidge, Carlos Marmol, and go ahead and take the Chris Perez/Kerry Wood combo. If Wood gets traded to close somewhere, you'll end up with two solid closers. If not, you let Wood sit in the DL slot and drop him or Perez, based on how the season goes. I've never liked Hamels for fantasy because I thought he was too brittle and then overworked after their run to the World Series. The Phillies went deep in the postseason last season, but they rode Cliff Lee. I think Hamels is probably due for a bounceback season, but there is always someone in a draft who likes him more than I do. He really needs to get his curveball going to be successful because last year he got rocked, while throwing his fastball or changeup about 90% of the time. Um, no. He is a sleeper, but he probably stinks. I think Yuniesky Betancourt, Chris Getz, Alberto Callaspo, Alex Gordon, Mark Teahen, and even Josh Fields are likely ahead of Aviles on the depth chart at SS, 2b, and 3b. Who knows, though, it's not like he's trying to break into the Yankees infield. Another Opening Day rookie starter for Skipper Leyland. I hope he doesn't let these kids see him chain-smoking cigarettes. Again, I don't see enough power or speed for our squad. He is hopefully better in real life than in rotisserie. 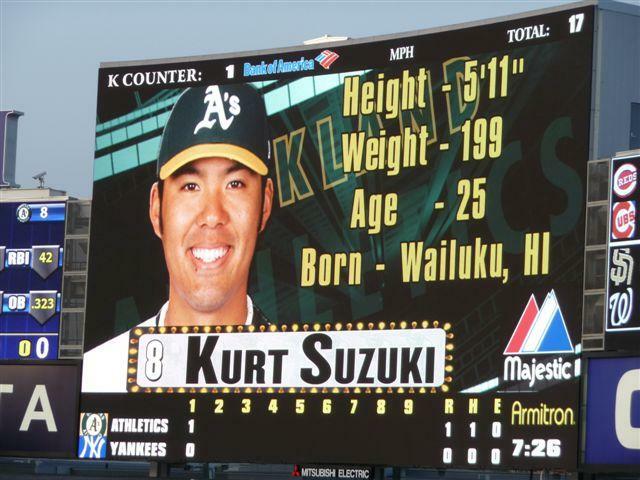 Spoiler Alert: Kurt Suzuki isn't a Japanese ballplayer. He was born in Hawaii and went to Cal State Fullerton. I wonder if the perception many people have, that he is an import, have affected his value. 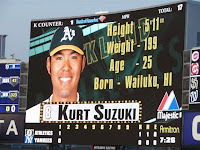 I love Suzuki as a late pick to play catcher because he is going to bat 3rd for the Oakland A's. Anytime I can get someone batting 1st, 3rd, or 4th, I consider them, especially late in the draft and at a position like Catcher it's almost a no-brainer. Heck, Benjie Molina has been useful for a couple years simply because he'd been batting 4th for the Giants. I like Fox, too. He has the Power to play for anyone, and he's finally in the American League. We need to see how the AB's get distributed, but I think he can DH vs Righties and play the field vs Lefties, or something like that. You can't argue with wanting a player in that lineup or ballpark, but we shouldn't expect Scutaro to put up prime Nomar numbers, average Jeter numbers, or even '08 Scutaro numbers. I'm very wary of players who have Career Years at age 34 contract years. I also notice how no-one wonders how Scutaro will react to the pressure cooker in Boston. 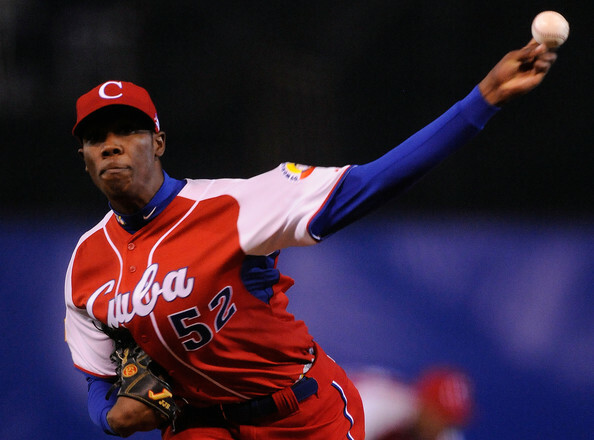 Remember Edgar Renteria? Cody Ross is, in my mind, a poor man's Jayson Werth in 2008. We used to add/drop Jayson Werth on Good Friends, so that we could start him versus lefties. Few other owners in our league picked up on it, and it helped us get something like 12 or 14 really good games out of Werth. 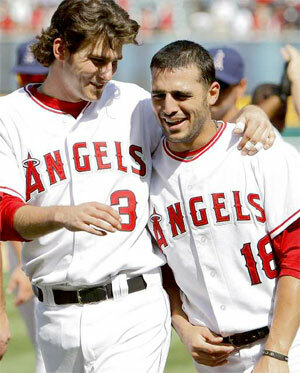 We even had him on Friday, May 18, 2008, when he hit 3 HR's against the Blue Jays. Similarly, I like Cody Ross versus lefties. The risk we run by looking at Ross as just a lefty masher is he could become awesome, like Jayson Werth. 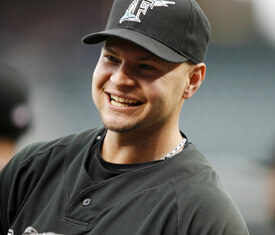 Still, when I see Cody Ross's stupid grin, which he's shown more than twice, it makes me think he's not that good. Seriously, Cody? That's your smile?